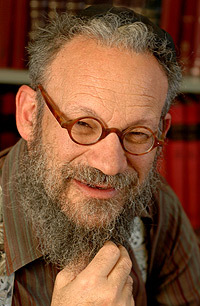 Today we are interviewing Daniel Boyarin, whose new book, The Jewish Gospels: The Story of the Jewish Christ, was published by New Press this April. In The Jewish Gospels, Daniel presents an astonishing argument that the concept of the Trinity was not original to Christianity at all but came out ideas that were commonplace in the Jewish tradition long before the birth of Jesus. Daniel is one of the world’s most renowned, original, and admired scholars of ancient Judaism. He is the Taubman Professor of Talmudic Culture in the departments of Rhetoric and of Near Eastern Studies at UC Berkeley. Daniel is not shy of taking provocative and controversial positions. His work was recently alluded to in the Oscar-nominated Israeli film, Footnote, where it was the subject of an argument. He has described himself as a Trotskyist, anti-Zionist Orthodox Jew, a set of positions and commitments that has excited both exaggerated interest in his work as well as scurrilous public attacks (mostly by pro-Zionist Jewish professors). Let’s hope today’s interview will engender both. Andy: Daniel, everybody knows that Jesus was a Jew. But in The Jewish Gospels you are saying something quite different and original, even revolutionary. Can you explain your argument? Andy: So let me get this straight. In the early years of Christianity there was no real distinction between Jews and Christians. There just happened to be some Jews who thought that a particular guy, Jesus, was the messiah. And these Jesus Jews weren’t really all that distinctive within the world of Jews at the time. Is that correct? Boyarin: Yes. Fairly frequently I’m asked by Christian folk why the Jews “rejected” Jesus. I answer this (as Jews stereotypically are wont to) with another question: Who do you think accepted Jesus, the Zulus; the Goths? Jews were expecting a Messiah—this is one of the central arguments of the book—and many of them, moreover, had come to expect him to be a divine being in human form or even embodied in a human. Some Jews who came to know Jesus were so impressed with him that they accepted the claim (if he made it) or made the claim themselves that this Jew from Nazareth was the one that they and all of the Jews were expecting. Not altogether surprisingly a fair number, probably most, of the Jews around at the time were more skeptical. Today we call the first group of Jews Christians, the second Jews, but then and for a long time, they were all Jews. Andy: When I studied The New Testament, I was always taught that St. Paul was the person who really made Christianity distinct from Judaism. And that happened early on. Apparently you see it differently. When did Christianity have its irrevocable break with Judaism? And why? Boyarin: In some ways it was Paul who effected the revolution with respect to the Torah that we don’t find in the Gospels. But it needs to be remembered that Paul was an embattled figure, marginalized and considered a heretic by most followers of Jesus for decades if not longer. I would tentatively suggest that it was the entry of myriads of Gentiles into the Jesus movement, folks who had no interest in or attraction toward the traditional ways of the Jews that ultimately precipitated a gradual and finally total separation of the communities. One of the important arguments of the book is that the Gospels are misread as portraying Jesus as rejecting the Torah and Jewish religious practice; it was Paul who did that, and even with Paul, a plausible argument could be made that he intended this rejection only for the “believers” from the Nations (the so-called Gentiles) and not the Jewish followers of Christ. Jesus, I argue, defended the Torah against the reforms and traditions of the Pharisees whom he saw as substituting their own traditions for what was clearly written by Moses! Andy: A lot of your book is a close look at the language of the Gospels, particularly The Gospel of Mark. I always thought that the Gospels tried to distinguish Jesus’ ideas from the Jewish thinkers of his time, particularly the Pharisees. 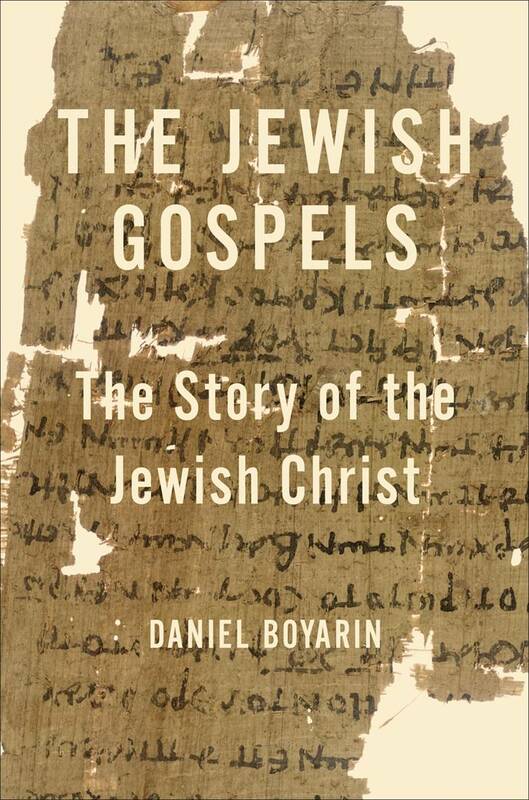 Boyarin: Yes, but precisely the argument is that the Pharisees were not “the Jewish thinkers of the time;” they were some Jewish thinkers of the time. Jesus, I argue, was much more conservative in his approach to Torah than the Pharisees who were descended from Jews who had returned from the Babylonian Exile with some quite new ideas about the way the Torah ought to be practiced, especially their notion of a “Tradition of the Fathers”—later on called Oral Torah—that dictated some practices that certainly seemed different from the literal meaning of the Torah itself. So Jesus was portrayed as being in conflict with those Pharisees but that hardly marked him off as in any way not Jewish in his religious thought, any more than the attacks on the Pharisees in the Dead Sea Scrolls make those texts not Jewish or less Jewish than the Talmud! Andy: When you think about this, it seems pretty provocative. How do you think Jewish and Christian theologians are going to respond to it? Boyarin: Don’t have a clue. I mean that literally. One never knows the effect of one’s work in advance. I’m not even sure what effect I’d like it to have on theologians. I hope to have helped promote for folks a livelier sense of the ways that Jewish history took place in the first century and how contingent historically the invention of Christianity was, how unpredictable from the Gospels and the evidence that they provide. I sometimes like to relate the following counter-historical parable. Constantine, instead of adopting Christianity as the religion of the Empire, chose Mithraism which became in its further evolved form the religion of most of the world. The last persecuted followers of Jesus, sometime in the fifth century, running for their lives, carefully packed their holy books, the Four Gospels and the Letters of Paul into clay jars and buried them in the desert of Judea where they and the very existence of the sect were forgotten by time. Some time around 1948, a Bedouin shepherd discovered these clay tables by accident and an unknown Jewish sect was revealed to history. In Jerusalem there was built a Shrine of the Book and the manuscript, the only one, of the Gospel called Mark is displayed proudly there while hundreds of Jewish and Mithraist scholars all over the world devote themselves to the study of these ancient, exciting, wonderful documents of Jewish religious imagination and spiritually that had been lost and were now found. Andy: I remember reading in The New York Times last year of a discovery of a tablet predating the birth of Christ which said that a Messiah would rise from the grave after 3 days. You were quoted in that article. Do you see this as an archeological confirmation of your ideas? Boyarin: I would if I were more convinced of the accuracy of that reconstruction of the tablet. The tablet is, indeed, no forgery, but it is broken and hard to read and other reconstructions of its text are at least as plausible as that one, so I can’t rely on it much as I would love to. The Day I was bullied by Romney. Several weeks ago I did a blog post entitled: “I was Mitt Romney’s Boss“. 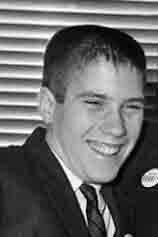 If you recall, in 1962 when I was 16 years old, I was a volunteer for the Republican gubernatorial candidate in Michigan, George W. Romney. They put me in charge of the mimeograph room where I worked for the summer. Shortly after I began, the candidate’s son, Mitt, joined me and we spent the next few months together cranking out campaign flyers and strategy notebooks. The recent news about Romney’s “hi-jinks” as a teenager has brought up a pretty ugly memory of that summer, one that I have repressed for the last 50 years, but about which I can be silent no longer. I’m ready to talk about the day I was bullied by Romney. It was mid-August. Always a hot and gritty time in Detroit. The campaign was moving into high gear. We were all excited about the new poll results that had just been released showing that George Romney was soaring ahead of the colorless Democratic candidate, John Swainson. To celebrate I asked my mother to take me shopping at Hudson’s to buy a festive outfit that I would wear to the headquarters the following day. The next morning I put on my new lavender velveteen “smoking” jacket, attached the accompanying pink ascot to the collar of my shirt, and headed down to the Romney for Governor offices. Then, pulling out the jammed paper, he said, “Andy, dang it, I think we got it now.” He turned toward me. I was still standing in the doorway, trying to look nonchalant, just kind of waiting for him to tell me what a cool outfit I had on. But that isn’t what happened. Instead Mitt did a double take. His mouth dropped just about down to his pupik. Then as if experiencing a gradual realization of something hideous, his visage turned ugly, even sinister; his expression changed into a crooked sneer. For the rest of the morning, Romney was silent. It wasn’t that he behaved with any kind of hostility. He just ignored me. Wouldn’t look me in the eye. When I tried to help him crank the machine, he pulled his hand away and gave me a dark look. Then Mitt grabbed me by my hair. It was long then, a shock of it came down over one of my eyes. With his other hand he pushed my head into the hollow drum of the mimeograph machine and started cranking it around. That was all. He told me to get out and if I ever showed my face again at the headquarters, he would tie me to the top of the family station wagon, drive to the south of town and dump me into the Detroit River. I try to practice forgiveness in my life. To be able to do so has always been a grace. But I realize now that, in spite of the fact that this horrific memory has been repressed for 50 years, it has had a profound impact on me that continues to this day. In a sense, the entire arc of my life has been an attempt to overcome the humiliation I felt from that encounter with Romney. How else would you explain the fact that every morning when I get out of bed, I put on a safari suit and pith helmet and insist that Leslie and Hayley refer to me as: “Sahib”? Or what happened on Leslie’s last birthday, when I surprised her by waking her up and taking her out to the driveway where I presented her with a brand new Humvee painted in desert camouflage. I feel better now having written this down, gentle reader. And, Mitt, if you are taking a breather from the campaign and trying to relax by reading this blog, I want you to know that you are forgiven. Publishers Weekly had a story today about Paulo Coelho reaching an agreement with his publisher, HarperCollins, to reduce the price of the e-book edition of his titles to 99 cents for an unspecified length of time. 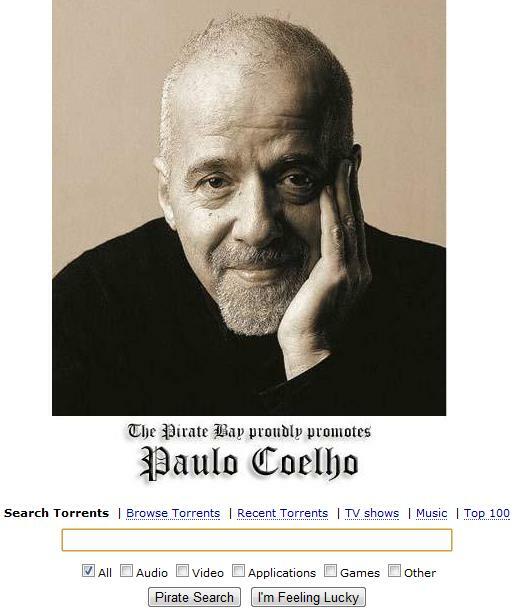 Coelho has been a very vocal advocate of book piracy for many years now. It’s a position I have trouble understanding, particularly when it is being espoused by a writer and an intellectual. PW allows for comments on its articles. So I got involved in a rather long and colorful thread about the virtues and vices of intellectual property theft. When you think about it, the issues in this conversation are fundamental, touching on the ontological nature of work and its value to the worker and to society. In the case of intellectual property, it goes to the heart of the question of whether intellectual activity and creativity is “work” and whether it is worthy of being compensated. According to a February, 2012 article in The Guardian, Coelho has long been a supporter of the illegal downloading of his own writing. Of course, if an author chooses to allow his books to be downloaded for free (assuming he controls the copyright to those books free and clear), this isn’t piracy. It’s a gift. But that isn’t really the situation with Coelho. His books are published in the United States by HarperCollins and they have been translated, published, and sold in almost every country in the world. (The Alchemist has sold over 35,000,000 copies worldwide, probably the best selling title in the world by a living author). Coelho has a contractual relationship with his publishers. 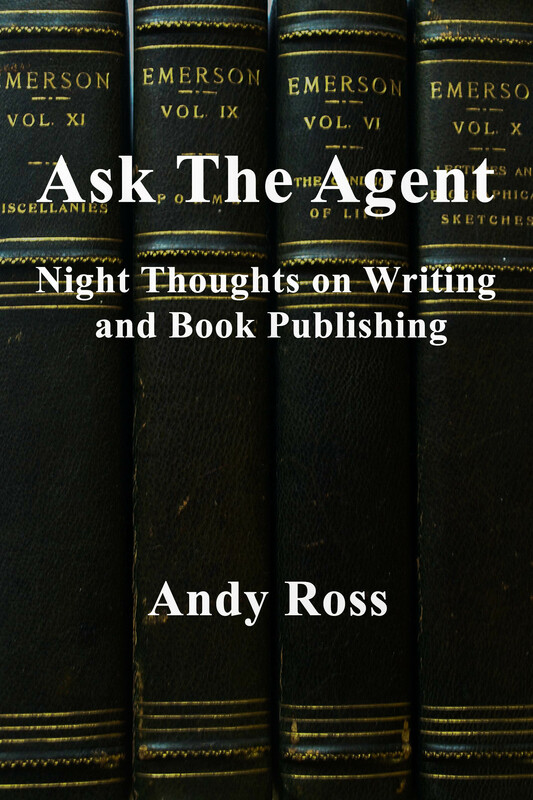 Most book contracts give the publisher the exclusive right to sell the book for a given period of time, in exchange for which the author is compensated. Coelho is enabling the free and unauthorized downloading of his books when he has already licensed those rights to another party. This is very clearly piracy. What is more troubling is that Coelho goes beyond advocating that people should steal his books. He has joined up with the notorious file sharing site, Pirate Bay, to facilitate downloading his own books and by implication supporting the illegal free downloading of millions of books, movies, music, and software that is being done daily on Pirate Bay. Coelho’s assertions are wrong and pernicious. He begins by positing that there is a kind of paradigm shift going on, and that the old models are dead. I see this a lot, usually coming from technology gurus or Amazon.com fan boys. When I hear the term “old business model”, I can usually predict where the discussion is headed. Coelho is saying that under the new business model ideas belong to us all. What that means to me is that the writer ought not to be compensated for his writing, which is to say that the work that goes into artistic creation has no value. A curious insight from a writer who has made tens of millions of dollars from his own creative work. He elaborates on this idea by saying that all creative writing is simply the recycling of 4 themes. I suppose what he means to say is that creative writing isn’t really all that creative. Let’s see now….how shall I respond?…….Shakespeare, Tolstoy, Joyce, Melville, Flaubert, Cervantes, Dante. A veritable Salvation Army of recycled ideas. Coelho then argues that piracy is good because it is good for business. Kind of like radio. It exposes people to creative work that they might not otherwise know about, and this will induce the reader to go out and buy more of the artist’s stuff. Well, this might be true. Or maybe not. But it certainly is an article of faith amongst the “new paradigm” types. This is quite beside the point. The copyright holder may decide, out of ignorance or folly, that he simply doesn’t want to give away his product. Apparently Coelho feels that he is in a better position than the artist to dictate the conditions under which the artist’s or anyone else’s book will be disseminated. Moving along to the thread of conversation in the PW article, we see more of the “new business model” argument. It usually revolves around the idea that traditional commercial (often referred condescendingly as “legacy”) publishers are simply ripping off the consumer and making millions of dollars by charging unjustified and inflated prices. The idea is that if we get rid of these greedy middle men, we will arrive at a fair price for a book, which is usually about 99 cents. The Internet gurus call it “disintermediation”. It’s a fancy term for a business model that cuts out the middle men. A lot of people seem to believe that because there are no manufacturing and delivery costs to an e-book, 99 cents is a fair price. But in the eyes of Pirate Bay and its apologists even charging 99 cents for a book is highway robbery. The concept de jour coming from the “new business model” gurus is: “information wants to be free”. I believe that intellectual work has value and deserves compensation. I believe that the work that goes into writing a book is at least as important and as valuable as the work that goes into flipping burgers at McDonalds. It’s astounding to me that this conversation about piracy gets serious discussion at all. Piracy is theft. Theft is not a “new business model”. It’s the oldest one in the book.